This is an adorably written and perfect childrens book for the younger child or the new reader. This is the type of book you can read to your child every night as you put them to bed knowing they are being told that god loves them. The artistry is adorable and the pictures are wonderful for little ones and adults alike. This would also make a great book for either under the Christmas Tree or maybe even a stocking stuffer, if the stocking is big enough! 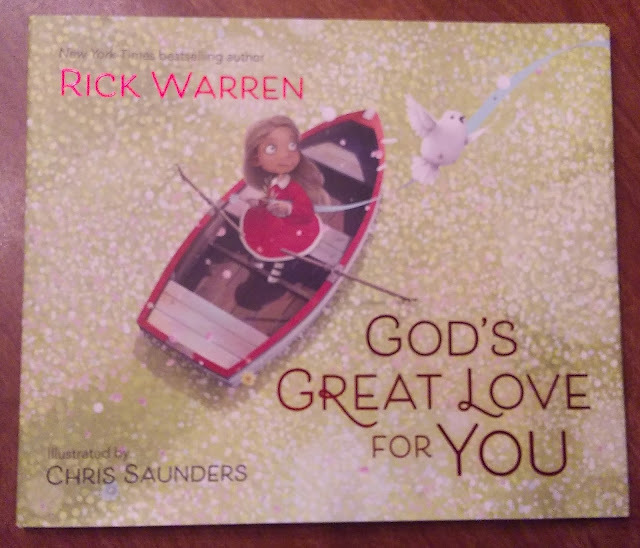 A wonderful thing is I am able to give away one copy of this adorable childrens book to one luck winner! You can use the rafflecopter below to enter to win! Please remember that you must reside in the United States to eligible to win. Dr. Rick Warren is pastor, author, global strategist, theologian, and philanthropist. His book The Purpose Driven Life has been called the bestselling non-fiction hardback in publishing history by Publishers Weekly, having sold more than 32 million copies. Warren founded Saddleback Church in 1980 with his wife, Kay. In addition to a 120-acre campus in Lake Forest, CA, the church has fourteen satellite campuses in Southern California and three international campuses. 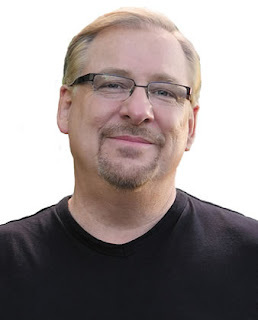 Rick Warren is often called "America's most influential spiritual leader." He and his wife, Kay, founded Saddleback Church in Orange County, California, which is now one of the largest and best-known churches in the world. He also wrote the #1 all-time bestselling hardcover book, The Purpose Driven Life. a Rafflecopter giveaway Disclosure (in accordance with the FTC’s 16 CFR, Part 255: “Guides Concerning the Use of Endorsements and Testimonials in Advertising”): Many thanks to Propeller Consulting, LLC for providing this prize for the giveaway. Choice of winners and opinions are 100% my own and NOT influenced by monetary compensation. I did receive a sample of the product in exchange for this review and post. Only one entrant per mailing address, per giveaway. If you have won a prize from our sponsor Propeller /FlyBy Promotions in the last 30 days on the same blog, you are not eligible to win. Or if you have won the same prize on another blog, you are not eligible to win it again. Winner is subject to eligibility verification. My granddaughter's favorite book now is Madaline. We have favorite authors around here- my littlest love Sandra Boynton, Max Lucado, Maurice Sendack. My older kids are loving C.S. Lewis and Tolkien right now. As a young child. my favorite book was The Cow Who Fell in the Canal. My son loves Goodnight Goodnight Construction Site. Its time to plan..Your Holiday Shopping!